That woman's scarves, the jacket, the style! Just been to Courson for the first time ever. I first heard about this French garden show years ago, when I had my own nursery, and by all accounts it was very good. Since then, I hear nothing but good things about it – indeed 'Courson' is nearly always accompanied by the word 'wonderful'. I got an invitation to lecture there at the weekend, so finally went. It is indeed wonderful, in fact so wonderful and I ask myself why I hadn't been before. Only so many hours in the day, days in the week etc plus the fact that years ago I made the decision that since so many of my colleagues went to often to France (part of that British middle-class love affair with France) I would leave them to it, and concentrate on the garden developments in the much less trendy Holland and Germany. Which I have no regrets doing, but time perhaps to spread my net a little more widely. When I had the nursery (late 1980s) I did indeed make several plant-buying trips to France. 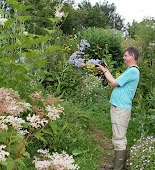 I had the impression of a country which was just getting interested in plant-orientated gardening. Now I would say re-interested. Historically, France always led the way in fruit and vegetable production – absolutely no contest. In the late 19th century at the time that British gardeners were in the middle of the golden age of Victorian gardening, French growers were also extremely active. To be fair, it may be that they were even more active. In the late 19th, British gardeners were still very focused on exotica and summer bedding, but about to make a shift to the great era of plant hunting. The latter brought in many trees and shrubs but arguably benefited large gardeners on acid soils more than anybody else. 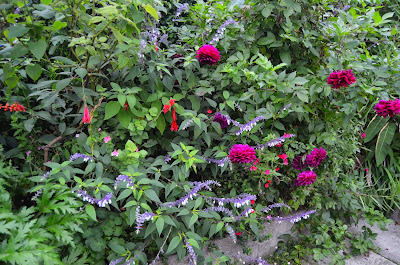 The French focus remained much more on garden plants. 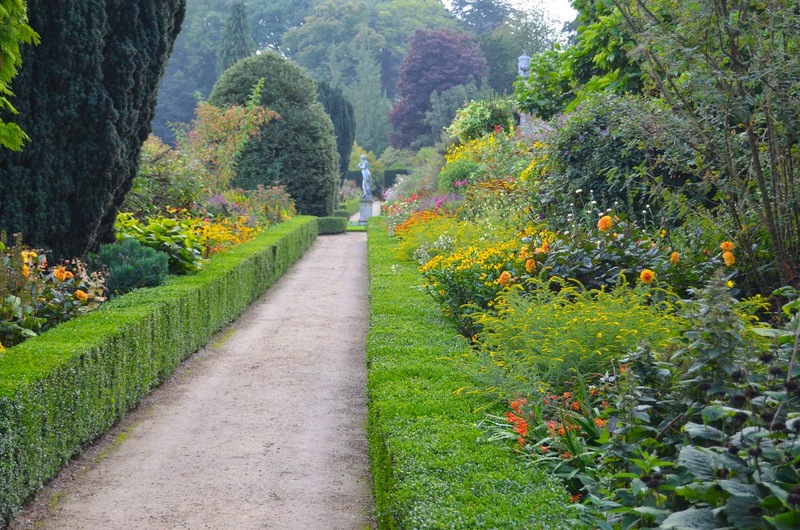 One man, Victor Lemoine of Nancy, bred a stupendous number of garden plants. No-one seems to have written a biography of him, which is a shame, as he was extraordinarily productive (I have written a little in Hybrid). 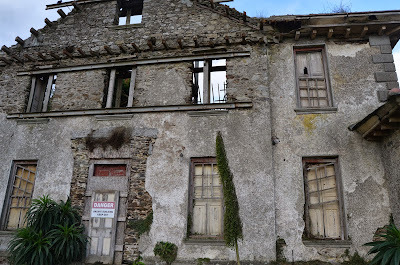 During the 20th century I get the impression that French gardening went into a bit of a slump by comparison. British gardening did too, but by the 1960s Adrian Bloom, Beth Chatto and a few others were doing their best to liven things up. French interest seemed to lag behind. 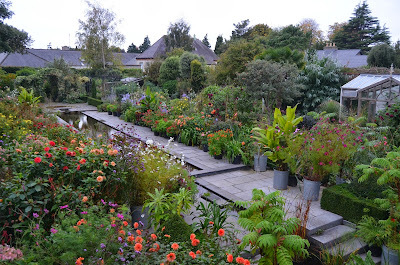 Since the 1980s however there has been an explosion of new nurseries, plantsman-gardeners and interesting gardens. 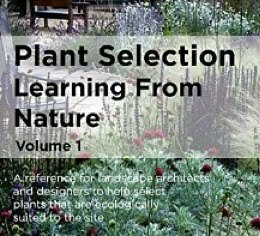 Indeed, walking around the nursery stands of Courson and reading through the accompanying catalogue, I almost feel like saying that perhaps there are now more interesting nurseries selling interesting plants than at home. The lovely thing about Courson, is that the nurseries who go to sell plants are expected to make a real effort with their stands. Many do, and the results are beautiful, their asters, salvias and autumn leaf colour plants contrast with the greens and emerging reds of the trees of the expansive and lovely Domaine de Courson. Some, mostly Dutch and Flemish, seem to just bang out crates of plants in a utilitarian way though. Most exhibitors though seemd to get a real pleasure out of designing their stands. One Flemish 'plant supermarket' nursery however had a fantastic array of very unusual shrub and trees, in 9cm pots at around 5 euros – grow them on for a year or two and plant out. Since we'd normally expect to pay four or five times this amount for a plant in a two or three litre pot, this struck me as a very good way of selling plants. British nurseries, with their currently woeful selection of woody plants, please note. Courson is a great place for people watching, many of them, needless to say, wonderfully stylishly dressed. French garden people look a very anglophile lot: nice cords, Barbour jackets and those leather knee-high boots that no working gardener could possibly afford. Good food too of course, and a nice librarie. Talking of which, there is now a garden bookshop right next to the Place de Concorde at the western end of the Tuileries – a sure sign that gardening in France is now very fashionable. When can I come back? The chateau itself, many wonderful trees in the park. Our room was the one on the right. 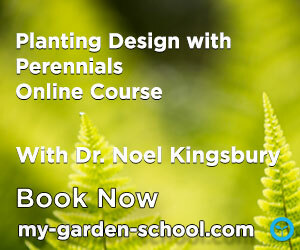 A brief trip over to Ireland to run a workshop for the Garden Landscape and Design Association. A good bunch, lively, friendly and asking good questions. I always feel vaguely ashamed I don't come over to Ireland more often, given that it is so close – its always brief work-orientated trips. There are some very good gardens here and the place is famous for gardens, but there are not actually many of them, and they are not really part of the culture – and that raises some interesting questions. 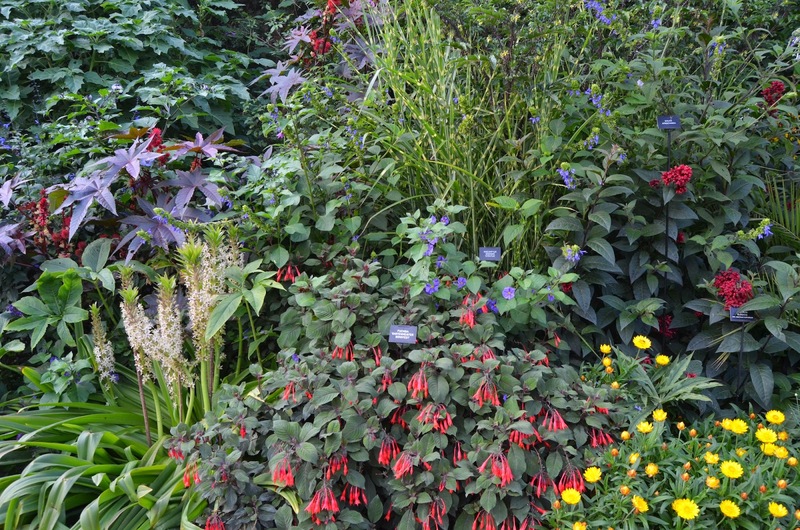 It is a fantastic gardening climate: mild winters and cool summers, so it is possible to mix and match an extraordinary range of flora. Except that this is not San Francisco, every now and again there is a cold winter. This summer was the sunniest and warmest in 70 years but often the summers are very cool, “too cool for barbecues and not enough sun to make goldenrod flower” someone complained on my previous trip. 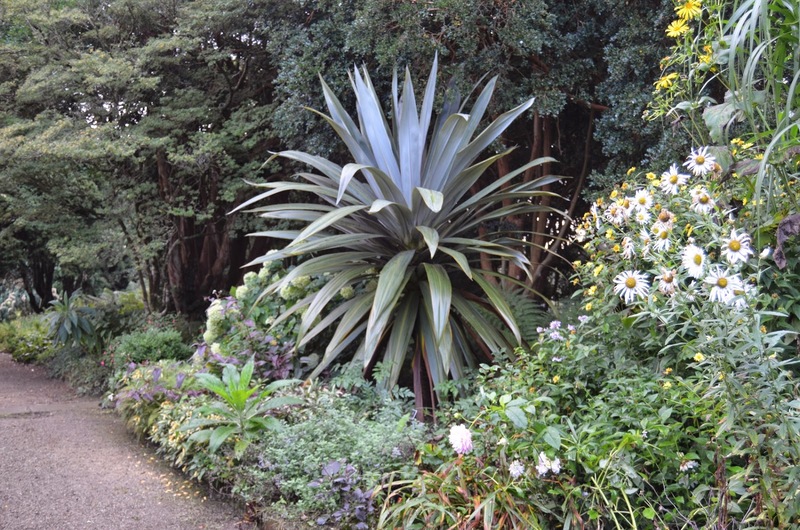 Generally though, a lot of Southern Hemisphere plants, New Zealand and Chilean, do incredibly well. This trip was a great opportunity to catch up with the new generation of gardens in the Dublin area and down the east coast. 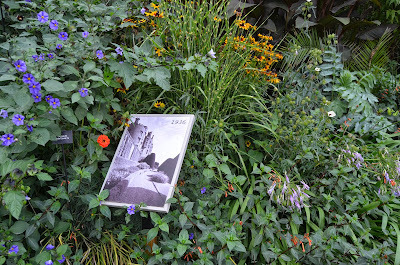 I say 'new generation' because the gardens that established the country's reputation for lush gardens were generally made a long time ago, often late 19th or early 20th century, by the Anglo-Irish landowning class, so they were on the grand scale; everyone else just grew potatoes. Ireland looks so much like England, you often have to do a double-take that it isn't. The history however is so utterly different, and anyone who doesn't realise this is travelling blindfold – and far too comfortably. And there is the fatal British (and more specifically English) misunderstanding that because everyone talks English there must be a common culture. Er, no. A part of traditional English (and I mean English here, not British) self-centredness is the belief that everyone with a half-decent gardening climate gardens, and that if they don't there's something wrong with them, a sign of foreign irrationality - “why don't they garden?” I remember my father asking of the French/Swiss/Italians (my parents, BTW, would never have dreamt of setting foot in Ireland). Historically, most places - everywhere, gardened only to grow veg, fruit and herbs – flowers were a luxury for the elite (and in the British Isles, that generally meant the English elite). 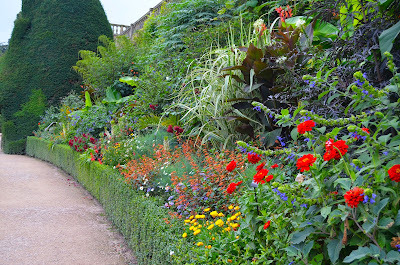 England, and the Netherlands, are pretty special in that those outside the elite started flower and ornamental gardening a few centuries back, in a very small way, but enough to start a widespread gardening culture. Wealth, and with it, the opportunity to garden got distributed pretty early. In Scotland, despite the ethnic cleansing which the country shared with parts of Ireland and Wales, a similar thing happened – the Scots had their own elite who soon learnt enough English ways to pass, including gardening, and it got passed on. The same did not happen in Wales or Ireland, “why don't the Welsh garden?” is another English whinge, often following on from some moan about bilingual signposts. The elite here were essentially English, i.e. ethnically different, and one thing you don't do if you are a near-starving rural dweller on a tiny patch of land between the gorse bushes is copy your colonial masters, particularly if their foibles include pointless activities like growing things you can't eat (or indeed hunting animals you can't eat). So, the historic great gardens of Ireland were made by an Anglo-Irish (and Protestant) ruling class, many of whom found themselves being burnt out of house and home by Sinn Fein in the independence struggle. 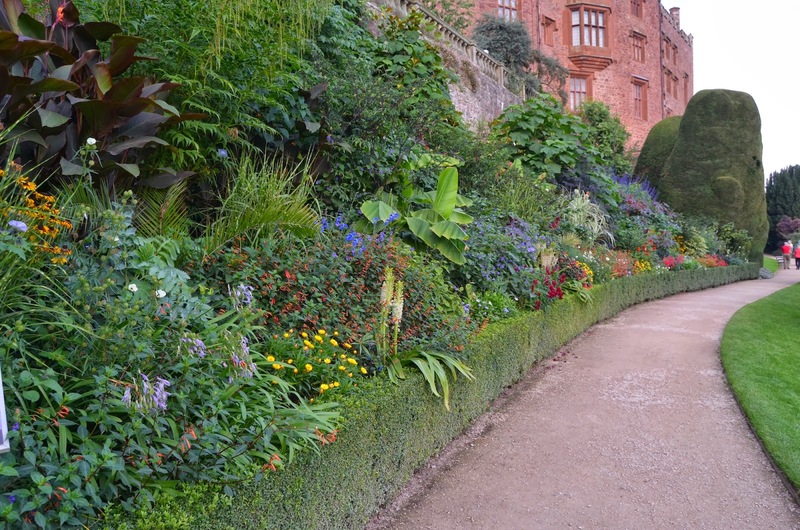 The gardens wouldn't burn however, so they generally were left alone to get covered in laurels, rhododendrons and sycamore. Sitting down to tea and raspberries and cream with Helen Dillon on Sunday was a far cry from my first visit to Ireland, many many years ago, staying in a squat in Belfast with a group of friends, one of whom was later jailed for running an IRA arms dump. With Helen, the subject of historical divisions soon arose, as she told me about when she first came to Dublin (42 years ago) “there were lunches, which were definitely Protestant lunches, and when people found out I was a gardener they would give me plants, but on the understanding that I wouldn't give them away, they didn't want the Catholics (i.e. the native Irish) to have them”. So, by “new generation of Irish gardens” what I actually mean is gardens made by the locals, although there are also some good gardens made by “blow-ins” as I gather immigrant Europeans are called. 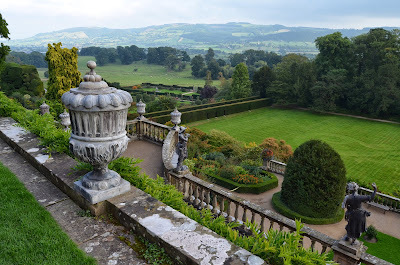 Some of these gardens are fantastic, but a casual peering over the garden gates shows that it hasn't really sunk into the culture yet. 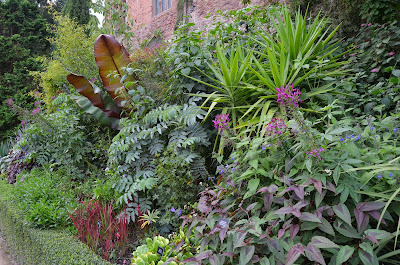 For lovers of good, bold, exotic, looking foliage, this is heaven. Carmel Duignan's garden in Dublin includes so many of those wonderful Araliaceae (ivy family) species which we, with just a few degrees of frost more, cannot grow. 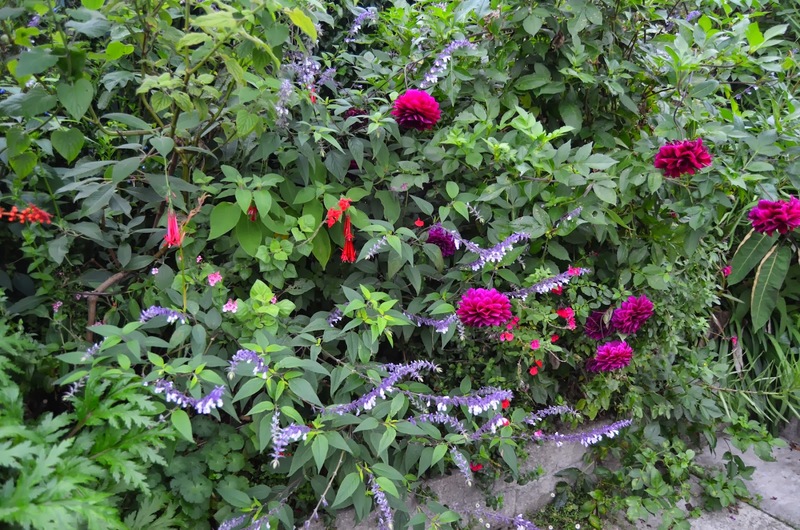 So, plenty of really good leafy structure for perennials, grasses and ordinary shrubs, and at this time of year, dahlias, and South American salvias. 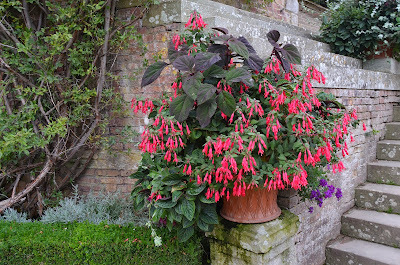 The salvias are another group which we struggle with at home, unless you are committed to treating them as half hardy, but here they just grow. Their colours are intense and there is a huge range of species, and a great range within species or groups of cultivars. 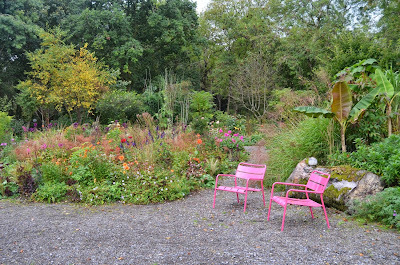 Love those pink chairs, Jimi Blake's Huntingbrook garden. 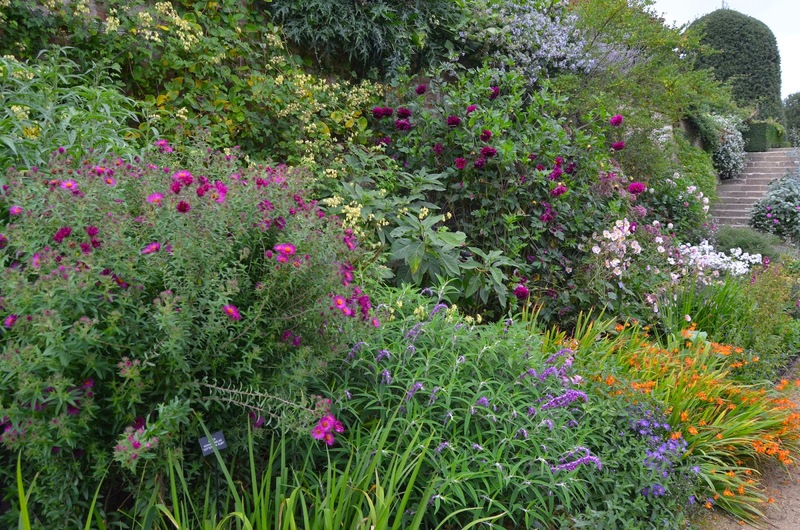 Helen Dillon's garden was as electric as her personality with dahlias and salvias, although a big re-think was clearly going on. I suspect this is a garden that gets a lot of re-thinking. 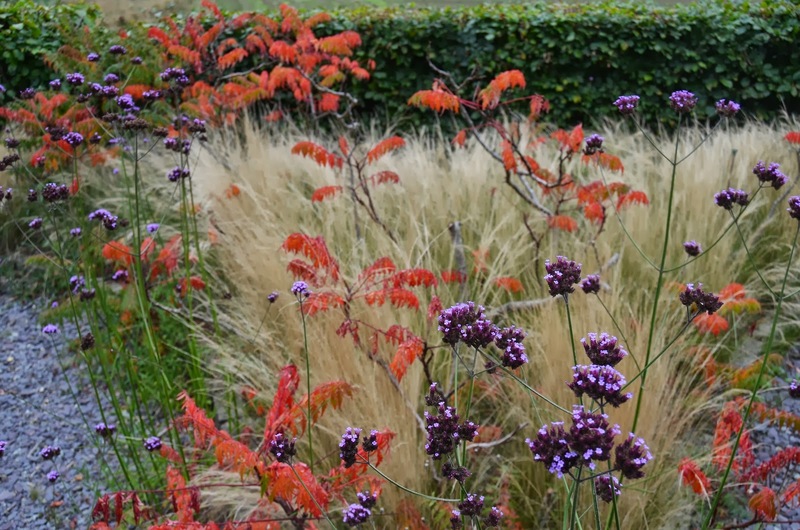 There were numerous gaps where it looked like she was going to replant, but a basic structure of some wonderful foliage and structure plants, including what were to be one of the theme plants of the weekend – Aralia. Aralia itself however, unlike the southern hemisphere members of the family, are hardy, so plenty of ideas for using this dramatic, leafy, highly distinctive, but occasionally viciously spiny, genus. 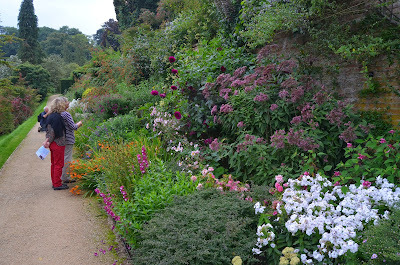 “I'm giving up colour theme gardening” announced Helen, “I'm going for the box of smarties approach”. 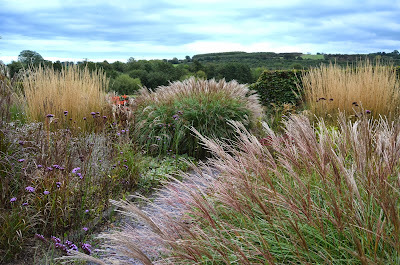 From the drawing room, where you get a spectacular view over the garden, this looked like it was just that, but down at ground level, as I went around photographing plant combinations, it looked like so many were actually very cleverly balanced. More aralias in Jimi Blake's garden - Huntingbrook, where the drive has a whole forest of A. echinocaulis, whose seed he collected in China; they cast little shade so he can grow masses of perennials beneath them. 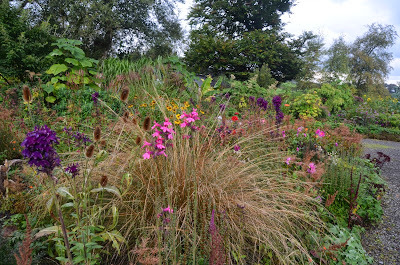 Just at the end of its season, this garden still had plenty of late colour from dahlias, salvias and lobelias, and some wonderfully frothy persicarias as did his sister June's at the bottom of the hill, where coppiced Paulownia tomentosa made a backbone for a very varied range of perennials. June's garden is a good, and actually quite rare example, of a garden which combines a lot of quite formal contemporary hard structure with exuberant planting. In fact I think it is exceptionally skillful. 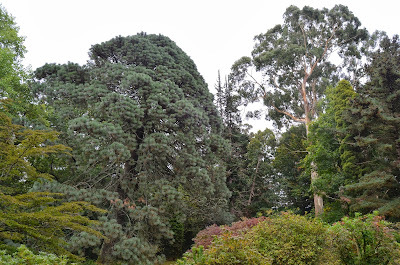 Pinus montezumae, a Mexican species, at Mount Usher and the biggest eucalyptus i have ever seen. More contemporary planting at The BayGarden, where an area of very simple planting of various grasses and late-flowering perennials looks out over the surrounding landscape, the grasses a good link to the farmed wild, the repetition of a limited number of late perennials made for an effective, and probably quite low-maintenance mix. Otherwise this is largely a spring and early summer garden. The house at Kilmacurragh, one of many ruined memories of a class system swept away by independence, but one day a visitor centre? So, what about the 'old' gardens. 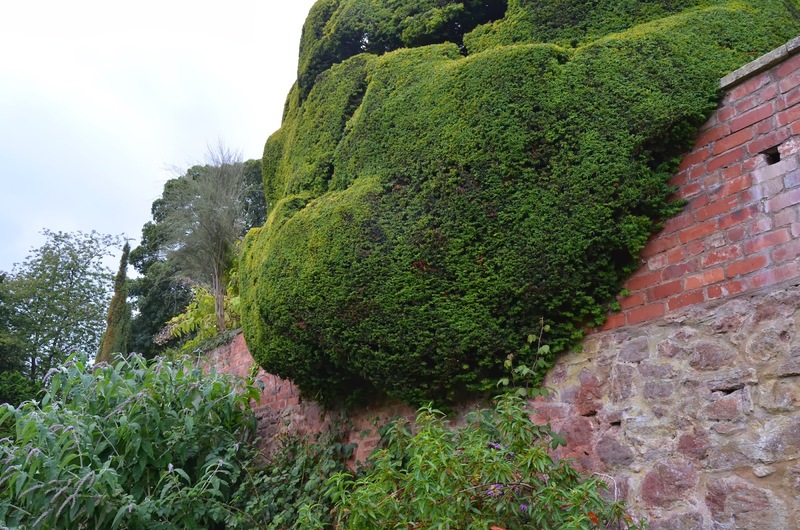 Many were lost or got overgrown, but some which have survived have matured into very rich collections of plants: trees and shrubs in particular which have benefited from Ireland's soft climate. Mount Usher, an upscale shopping mall and over-priced café with a nice garden attached is one such example; a shame that the profits from the shops couldn't pay for a bit more thinning out and above all some decent labelling. Another is Kilmacarragh, where the curator, Seamus O'Brien took me on a whirlwind tour. 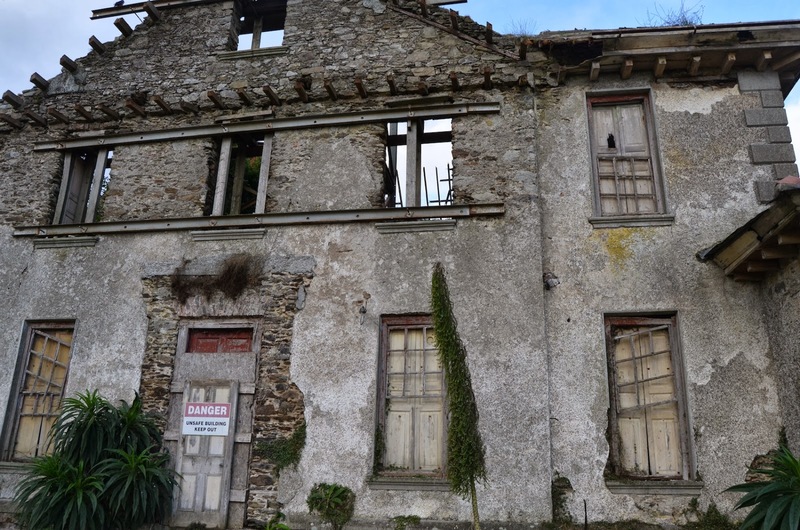 This vast estate, with a long and complex history, was allowed to become almost completely overgrown during the 20th century, with its house becoming a ruin in the 1980s; parts were sold off to local farmers who promptly set about felling trees, while the forestry board still hang on to other areas. “Its like Heligan” says Seamus. A lot better, I would add. An extraordinary heritage of trees, many of them South American, or Chinese in origin, many very rare in cultivation, can be found here, often enormous. It is the most unbelievable botanic treasure trove. Seamus reports that funding is pretty good and under the wing of the National Botanic Gardens, continued restoration, development and even buying back lost acres, is proceeding. His must be one of the nicest jobs in the garden world right now. 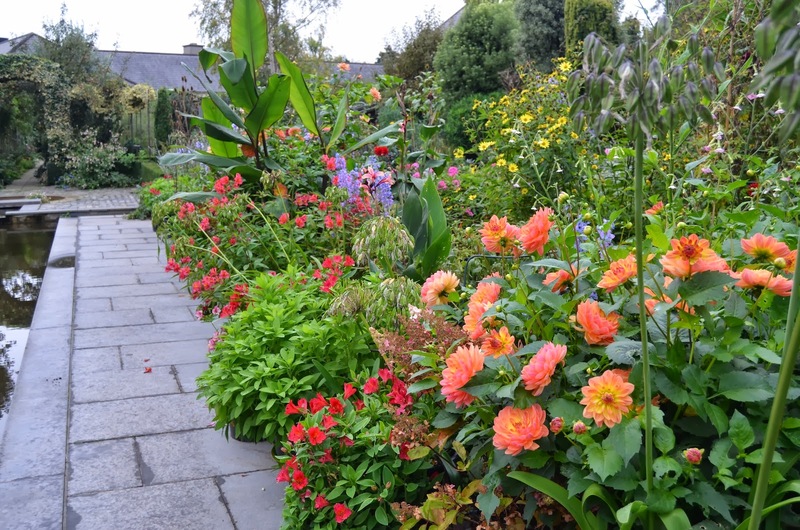 Garden design is clearly a lively profession here, although the glory days of the 'Celtic Tiger' will not come back. On my last visit here, three years ago, several garden designers I met reported how they had been making money hand over fist from clients, who just wanted a garden, no questions asked, and who signed cheques with abandon. There was no doubt a bit of a generation of 'bling' gardens, with a lot of Italian-import semi-mature trees (many of which can still be seen languishing in landscape projects in Dublin's outer suburbs, still the same size as when they went in) and hardy exotics. Today there are horror stories of gardens in central Ireland which caught a cold winter particularly badly where practically the whole garden died. 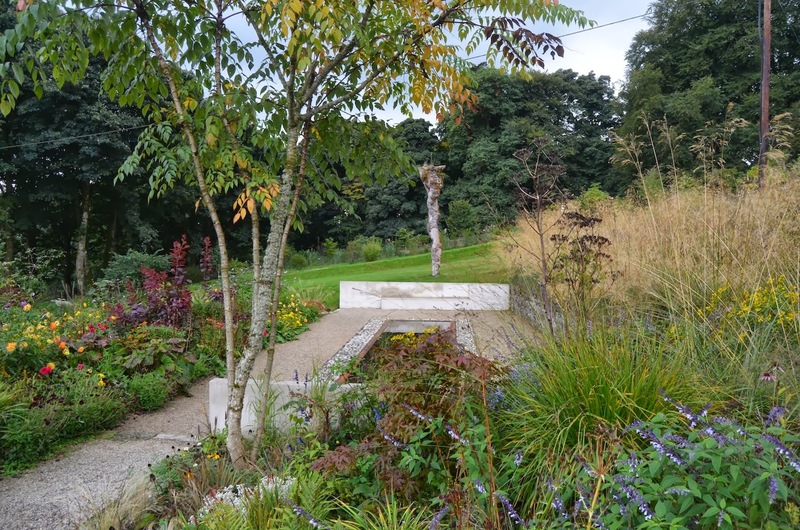 After some tumultuous years, the future of the Irish garden looks good, with some very high quality gardens and world-class gardeners, there is plenty to inspire and learn from. This applies as much to British gardeners as much as Irish ones. Time to travel over more often? My last sight of Ireland as i left the ever-so-swish Dublin airport where I ate possibly the best meal I have ever eaten at an airport, I spotted a sales display of singing leprechauns. Glad to know that the old values still hold. I feared Ireland might have fallen victim to too much good taste.